Early noon,the 26 years old forward from Bolivia,Augusto Andaveriz has arrived in Albanian airport and has later joined SK Tirana team in preparations for the next match of the League against KS Shkumbini to be played in 6000 seated"Selman Stermasi"stadium incoming saturday. The tall player is thought to be qualitative and enough experienced and perhaps sucessful with his new team in his first appearance in Europe.However,whether he will play in a key role in the pitch is to be decided from SK Tirana's main coach, Mennechini in the training sessions to come. The above news are now official from the white and blue club. Hello I am from Bolivia and am I fan death of Bolívar and newly do find out the news that one of our forward to be anger to Albania, to their team TIRANA FC, is that true? As they found out the one? as the negotiation it did begin to stop that the he/she leaves to their team? Please answer me in English. Ca thot ky toci, na e perktheni icik?????? do I already arrive andaveris? is there some test it prescribes of it will happen first? Hello and welcome to SK Tirana forum.Your comments will shortly be transferred to the english section which is used only for foreign guests. P.S.Moderatoret ta kalojne ket teme ke forumi i te huajve.Flm. Thank you, next time I will publish in that place. But like I finish favor I please request them that as much as Augusto's picture Andaveris is published in some newspaper or in its it paginates, please put the picture in English's forum. Subjekti i postimit: Augusto Andaveriz joins SK Tirana. hey first of all welcome to the forum. I guess we will find out what type of a player he is in the upcoming game. Mand_Tironci Thank you for the pictures. and with relationship to your question. 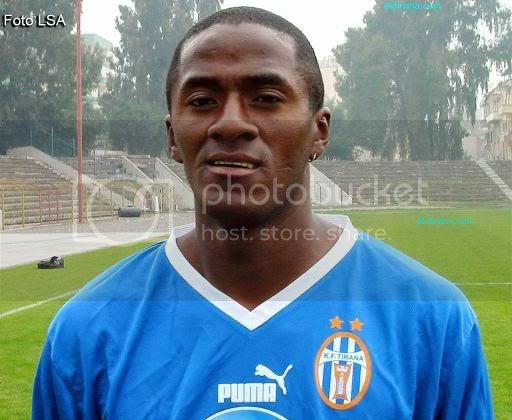 Augusto Andaveris is an area forward, for its good stature here in bolivia made many head goals, the one is not very skilled playing for below for its great height. He/she is a very good player, and he/she has good international experience because already juice LA COPA LIBERTADORES and LA COPA SUDAMERICANA with Bolívar. And also some parties of the South American preliminary rounds with the national selection of Bolivia. Augusto is a true gladiator of the court, and always the fight until winning. That is what I can tell you of Augusto. Augusto Andaveriz will be more than welcome at FK Tirana and I am sure he will find himself home. First of all our colors are white and blue, like your colors... second he will find many talented midfielders who can pass him the ball whereever he wants the ball... all he has to do is putting it in the net, and that is why we need him! We need someone who can score up front, and hopefully he will take us one step forward in the European Champions league. Third, our fans are the mos hospitable fans in Albania. We will welcome to our team anyone who will play with their heart for Tirana, and we know how to thank them for that! All our team needs at this moment, are players who can show that they care not only about the money, but about the great name of Tirana, the great fans of Tirana, and the great game of football! From what I hear from you, Augusto is capable of all these things, therefore a great player for our team! Again, thank you for your informationabout him and hopefully we'll see him score this weekend! Thank you for the words in Spanish. To my I like that to Augusto Andaveris wins bigger experience in a great team as Tirana. God willing the one surrenders as well as he made it here, you know that the language is a great barrier I wait that the the pass in a good way. Greetings from the best team of Bolivia to the best team of Albania. BOLÍVAR is the team with but championships won in Bolivia and with the swollen but big. 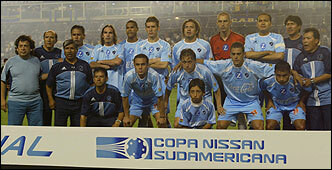 Last year 2004 Bolívar juice the final of the South American Glass against Boca Junior regrettably could not come out champions from South America. This is a picture of the final one, which we win 1 at 0 in La Paz but we lost 2 at 0 in Buenos Aires and Boca Juniors came out champion.